Every few weeks I try to do a kid’s cooking project with my youngest son’s preschool class. I love it! Read on to find out more about our free giveaway, so you can have your very own amazing recipe deck from Fiona Bird’s Kid’s Kitchen for cooking with your own kids at home!! 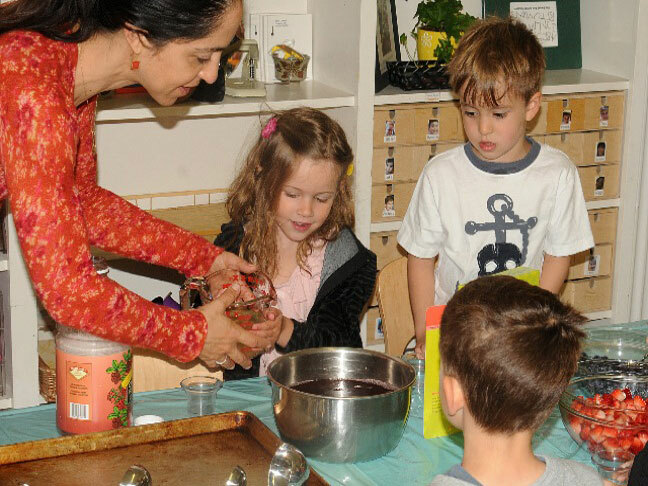 When I visit my son’s classroom to do a cooking project, the kids are curious, interested, and excited about using food to create their own art with food as their art medium. A few weeks ago I was especially excited to use a recipe from Fiona Bird’s Kids’ Kitchen, published by Barefoot Books. This set of forty healthy recipes is so cool! It’s like a giant deck of cards, each with a fantastic kid-friendly recipe! The cards are color-coded into groups: Fantastic Fruit, Eggs ‘n’ Beans, Spuds ‘n’ Grains, Milk ‘n’ Dairy, and Vital Vegetables. The deck also includes an eight page fold out that teaches kids about the food groups, vitamins, minerals, and kitchen safety. The recipes are all fun, easy to follow, extremely well organized, and yummy! This made it hard to choose which one to make with the kids! The simple solution was to choose a few and have the kids vote! It was almost a tie between the Fab Fruit Gelatin and the Yummy Hot Bananas, but alas the Fab Fruit won! 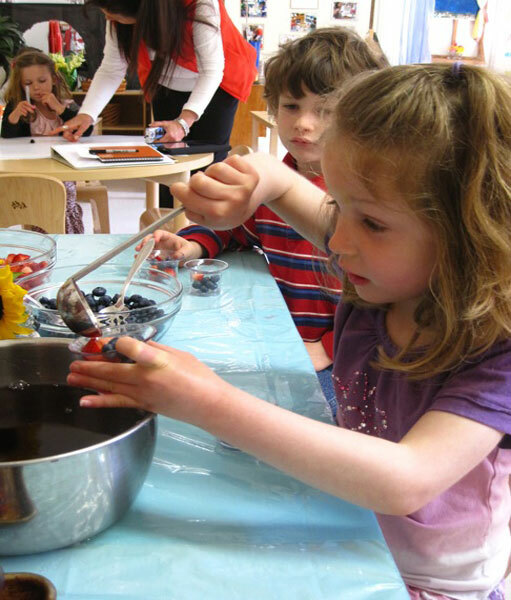 We made the Fab Fruit Gelatin with blueberries, strawberries, and pomegranate juice. We made four times the recipe to make small, individual treats for two classes at the preschool. 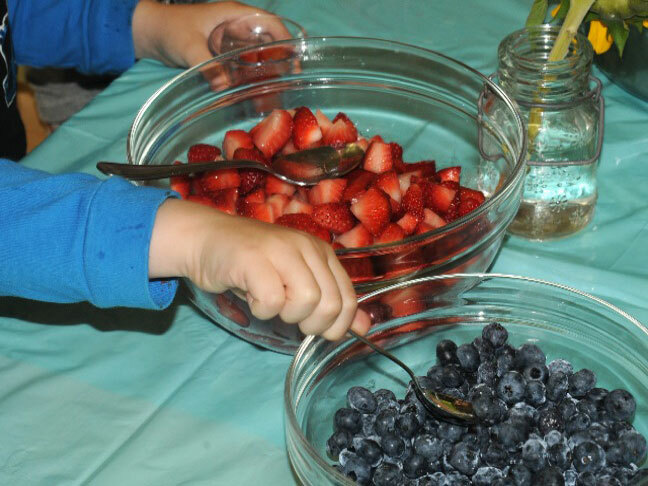 The kids’ favorite part was putting the fruit into their cups, and the whole project a huge success! Everyone, including the teachers, loved these tasty dessert treats! 1. Wash the fruit and pat dry with a paper towel. 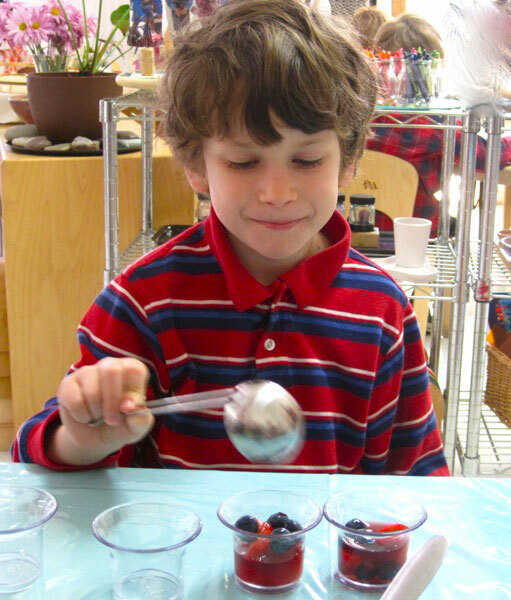 Then prepare the fruit by cutting it into bite-sized pieces if necessary (Blueberries or other berries can stay whole). 2. Put the gelatin into the measuring cup and pour the 1/4 cup of boiling water over it, stirring carefully with a spoon to dissolve it. 3. Add the juice to the dissolved gelatin to fill the measuring cup up to 2 1/2 cups. 4. 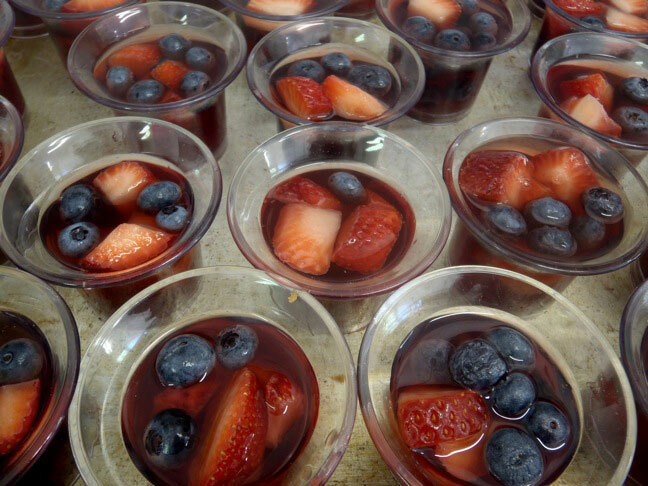 Divide the fruit between 4 small serving cups, and pour the gelatin mixture over the fruit. 5. Place on a baking sheet in the fridge for about 45 minutes to set. 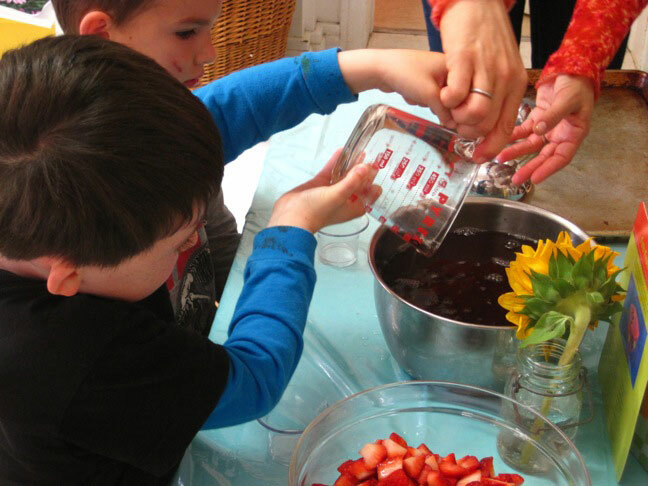 Kids’ Kitchen recipes can likely be made by kids ages 8 and up on their own (with an adult supervising). However, younger kids (such as the preschool class I worked with) can enjoy them equally with an adult helping them through the process. 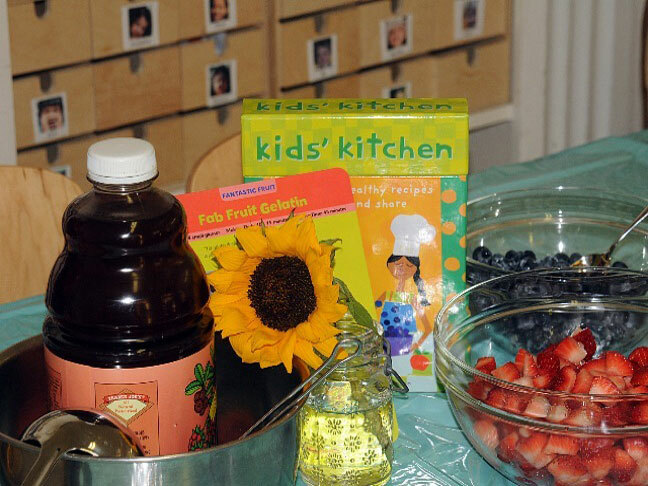 Want to try your hand at the fun child friendly recipes in the Kids Kitchen set? We are giving away three Kids’ Kitchen Sets. Just leave a comment below telling us your child’s favorite food, or click here! This sweepstakes is for one Kids’ Kitchen Deck (3 total to be given away) valued at $19.99 and is open to residents of the US (except Rhode Island) who are 18 and over.